This sounds counterintuitive; shouldn’t it help Jepsen for thousands of people to remix, recreate and otherwise rejoice over her song? But the meme’s not about Jepsen; it’s about her song, and she is secondary…This is the problem Carly Rae Jepsen’s facing: loving “Call Me Maybe” as a meme hasn’t made people invested in her as a musician. To be fair, she’s at a few disadvantages. 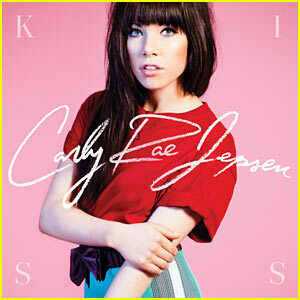 She’s 26, making music most people would call teenpop. She’s best associated with Justin Bieber, someone who’s still a moptop preteen in the non-fan imagination. Her 2008 debut, Tug of War, inexplicably remained Canadian-only. And she isn’t the type to flaunt the outsize personalities that bring success in U.S. pop. She’s just charming, to the point of being demure. The article features some good analysis of how recent changes to the Billboard charts have changed the nature of pop hits, taking new metrics into account, but it doesn’t ask a question that has been on my mind—and that I’ve talked about with my brother Ryan, whose beat I’m encroaching on talking about this—since the album debuted: why was this album released when it was? Answering this question does not dramatically change Jepsen or the album’s fate, but it does offer some different context for the logics Jepsen’s career is operating under at this moment.